Spread your Wings and soar through the sky. 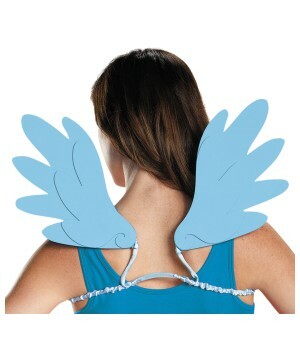 Wing Costume Accessories make the best out of your bird, fairy or angel Costumes. Choose from various styles and shapes to make your Costume a winner. 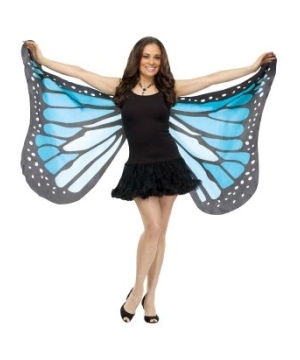 Wings are the must-have accessory to complete costumes that require lift off! Who ever saw a fairy without wings? 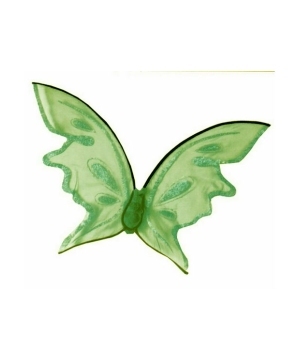 Tinkerbell needs her wings to fly up and away! A bumblebee needs them to pollinate flowers! In the classic movie "It's A Wonderful Life", it is said that every time a bell rings "an angel gets its wings". 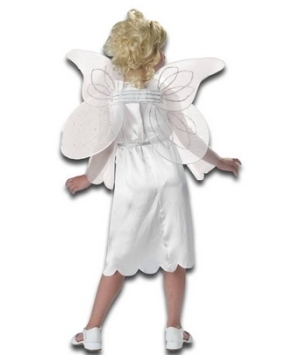 Luckily, if you are looking for wings to complete your Angel, Fairy or Pixie Costume we have several options in a number of glorious colors and sizes to make you feel and look beautiful. 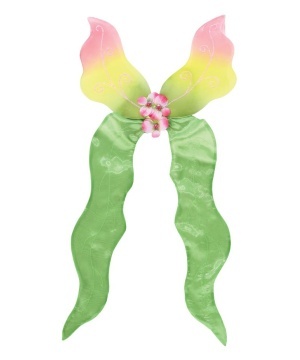 Here are a few costume ideas to get that you might like; for an Adult Fairy Costume try the Strapless Woodland Fairy Wings. 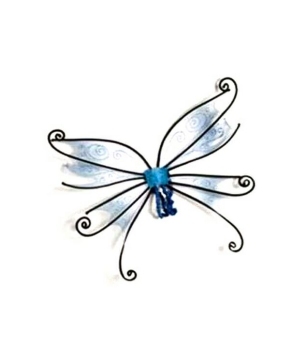 These gorgeous wings are sheer gossamer and are painted with lavender and teal blue details. 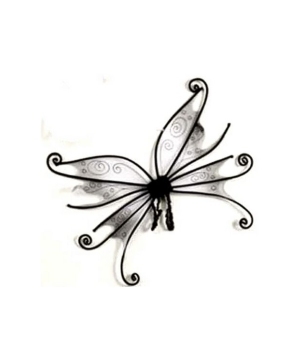 They wings also include lavender flowers that conceal the attachment placing. 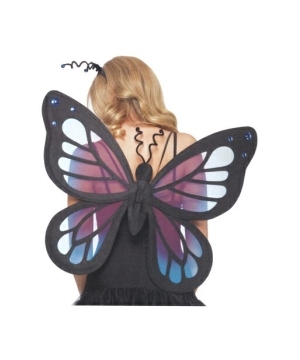 Another choice would be the Fantasy Fairy Wings that feature one pair of sheer rainbow wings that will add a touch of whimsical grace to your outfit. 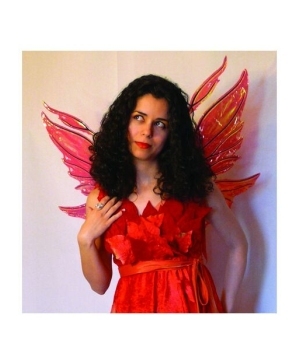 For a Cupid Costume, the Cupid Kit features red feather wings with red marabou trim. For a Gothic Fallen Angel feel, try the Demonette Wings with veins. For a naughty and tough Nymph Costume, check out the Black Dark Nymph Wings which are very big and have a distressed, shredded look. 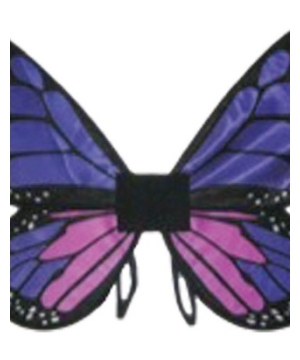 We have butterfly wings galore and in several sizes, styles and colors. 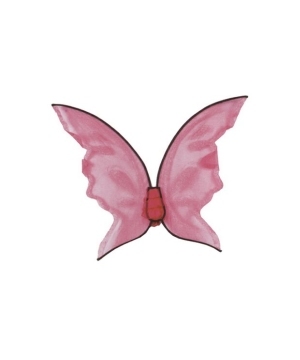 One of our best sellers is the Soft Butterfly Adult Wings. 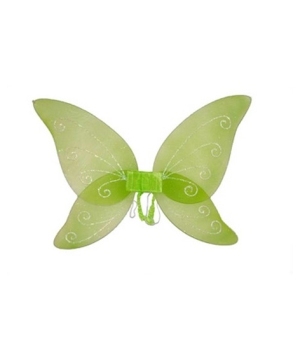 These come in a silky fabric and feature wings with shoulder and finger loops. The wings are massive and come in Gold, Blue and Orchid. 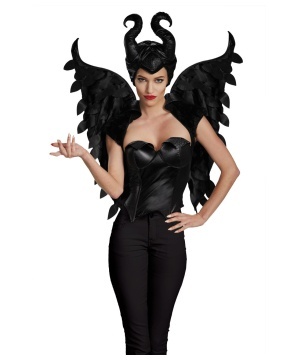 We're confident you'll find just about everything you'll need to complete your winged-costumes in these pages. For those who enjoy making your own costumes, adding a pair of wings to your costume might just give it the perfect final touch. 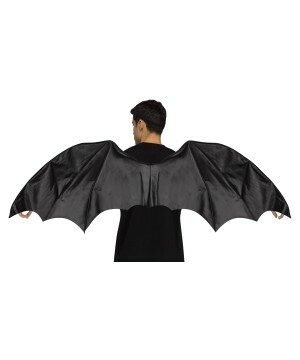 This Halloween create a superhero costume and give yourself the super power to fly with a pair of wings. Happy Shopping!